Your cool perspective rules the roost wearing these Salvatore Ferragamo™ sunglasses. Strong, anti-scratch cat-eye polarized plastic lenses offer 100% UVA/UVB protection and clarity. Decorative color-block trim at each lens corner. Brand logo detail on left temple. 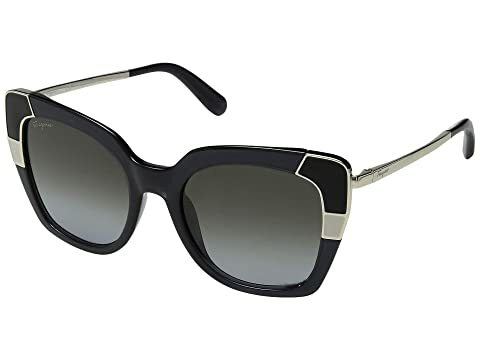 We can't currently find any similar items for the SF889SL by Salvatore Ferragamo. Sorry!